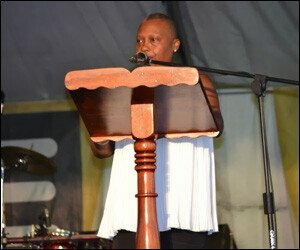 Chairperson for Culturama 41 Deborah Tyrell, says future generations will honor past custodians of the island’s history, for their ability to leave behind something on which they too can innovate and expand. It is for that reason she said, the Culturama Committee was taking its role seriously. “Generations to come will judge us by our ability to create today, something that is valuable to them tomorrow – just as Calypso was first Neaga Business and then Social Commentary and now Groovy and Power Soca,”Â she said. She said the Committee recognized the comments both positive and negative, as an expression of interest in the success of the Festival. She gave the assurance though, that by making suggestions or critiquing the Committee, they gave strength to the idea that culture is for all of Nevis to care about and their voices were truly appreciated. Tyrell said Culturama was not about money or fame but it was a time when Nevis and its culture was on show and as onlookers, social media commentators or active participants it is a big deal. “So whether it is the masquerade, the demonstration of talent in the various competitions, the art exhibition at the Charlestown Gallery, the Voices of the Poets in the Square; the experience at the Food Fair or the Parade of Troupes, your presence makes Culturama and this is our time!”Â she said.